An ATS optimized resume is a resume that is designed to be screened by applicant tracking system (ATS) software. This software is used by some companies to manage the entire hiring process including posting job openings, receiving resumes, screening resumes to find the most qualified candidates, and tracking job interviews. Occasionally you may see the term electronic resume management system (ERM) or talent management system (TMS), but applicant tracking system is the most commonly used term, so that's what I'll use throughout this article. The ATS features that you, the job seeker, need to know about are the resume submitting and resume screening features. These two features will have the biggest impact on the success of your job search if you are targeting jobs with employers who use applicant tracking systems. ATS software "reads" resumes, looking for specific keywords, experiences and qualifications. It will give each resume a score based on how well the information on the resume matches the criteria for that job. A human will review the top scoring resumes. Normally, a human will never see the resumes that did not score well. It is important to include on your resume relevant keywords that the ATS will search for, and to format your resume in a way that is predictable and easy for the ATS to understand. Does Every Job Seeker Need to Write an ATS Optimized Resume? Contrary to what you might read elsewhere, some job seekers really do not need to be concerned about applicant tracking system software. Depending on the type of companies you are targeting and the way you are finding your job leads, you may never encounter an ATS in your job search. However, if you are targeting companies that do use this software, you absolutely must learn all about writing an ATS optimized resume. Remember, only the top scoring resumes are reviewed by a human. Therefore, even if you are well qualified for the job, if your resume is not optimized to score well in the ATS screening process, you probably will not be considered for the job. In order to ensure the human reviewer, who can see that you are well qualified, reads your resume, you must write an ATS optimized resume designed to score well in this type of screening process. Will Applicant Tracking Systems Affect My Job Search? I wish I could provide a very clear, yes or no answer to that question. Unfortunately, it is not always clear whether an employer is using this software. There are, however, some guidelines and strategies you can use to determine whether you need to write ATS optimized resumes. Applicant tracking systems are most useful to large companies that do a lot of hiring. Small and medium companies don't hire as frequently; therefore, it's not as cost-effective for them to invest in an ATS for their hiring needs. You cannot safely assume that all large companies will use an ATS and all small and medium companies will not use an ATS; however, these are the general trends. Also, applicant tracking systems are used by the major job ad posting websites, so if you are responding to an ad online, or copying and pasting your resume into a set of form boxes online, that information will, very likely, be screened by ATS software before a human sees any of the applications. A lot of advice about the need for ATS optimized resumes, in my opinion, is over-blown. Some experts will tell you that almost every employer uses an ATS for hiring. The problem with that assertion is that it doesn't make sense, and these experts don't use real data to support their claims. To summarize: If you are targeting jobs with large companies and jobs that are advertised online, then there's a larger chance that you will encounter applicant tracking systems in your job search. If, on the other hand, you are targeting small and medium-sized companies, and you are networking and applying to a lot of unadvertised jobs, you are less likely to encounter applicant tracking systems in your job search. In some circumstances, you may not know for sure if an ATS is being used. In those cases, consider contacting the company's human resources department and simply asking if they require an ATS optimized resume. While it's true that no HR professional wants to deal with hundreds of calls asking about their hiring procedures, most job seekers will not make that call. If you do, you will know exactly which type of resume to submit - human-friendly or ATS-friendly. Do you need to be concerned about learning how to write, format and submit your resume for applicant tracking systems? The bottom line is, if you are applying to small and medium-sized companies, and / or you are not finding your job leads through online ads, you are far less likely to encounter ATS resume screening. If you are applying to large companies and / or you are finding your job leads through online ads, you are much more likely to encounter ATS resume screening, and in that case you must be aware of how to write and format your resume to pass this type of screening. Unfortunately, applicant tracking systems are still somewhat limited, and they rely on job seekers to use specific language and formatting in their resumes. If the employers you are targeting do use an ATS, and your resume is not written or formatted correctly to pass this screening process, you may never be considered for jobs that are a great fit simply because the software isn't reading your resume optimally. Luckily, you can avoid that problem and give yourself a big advantage over other job seekers who don't know about optimizing resumes for ATS screening. I've written an entire series on writing ATS optimized resumes that you can access from the links below. 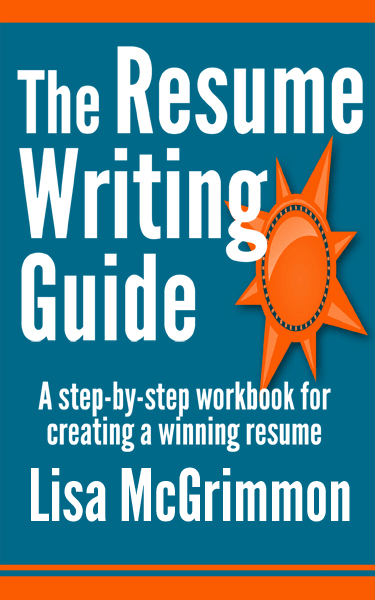 Also, if you want in-depth, step-by-step resume writing information, I've written a detailed resume writing guide which includes 2 chapters on ATS resume writing.